Broken Flowers is a bit of a slog, but features some of The Witcher 3’s best moments of insight into the relationship between Geralt and Dandelion. Broken Flowers begins with Geralt visiting Thyme and Rosemary, a brothel Dandelion inherited. Follow your HorsePS to the way point and go inside, where you’ll be reunited with an old friend and engage in a brawl. Sadly, signs and devices are not allowed; you’ll have to do this the old fashioned wat. After the fight, look around and find Dandelion’s planner. Read it, and then chat with Zoltan about the women mentioned therein. Steal everything across all three floors of the brothel and then head off to visit them women one by one. Assuming you go after everyone in order, Vespula is the first and closest. Get her out of trouble whichever way you fancy; I said the Beggar King would punish her attacker, which scared them off. Next up is Elihal. Geralt acts like a bit like a provincial twit here, but Elihal is full of interesting news and pretty cool in himself. After you’ve learned all you can, head off to Molly. You’ll encounter her mistress instead, and can elect to accompany her to the races or go looking yourself. I went to the races because running errands was starting to get a bit tiresome and I figured Geralt could use some R&R and the chance to sass a Nilfgaardian general. Also, you end up at the same place without having to walk yourself. You can opt to participate in a race, which isn’t hard if you have a decent saddle and know how to block those behind you from overtaking. Watch out for your horse shying and slowing occasionally, though. Winning nets you a great saddle. You may want to come back and here and complete all four races. When you’re ready to talk to Molly, ignore the HorsePS and look for the waypoint in the spectator stands behind you. Try not to shatter Molly’s illusions too badly in the ensuing conversation. Return to Novigrad overland, or in the company of your noble friends at the closer waypoint, and visit Murabella. She isn’t very helpful, alas. The last stop is the Var Attre estate. Tell the guard you’ve come to teach swordplay for an easy way in. Beat up Rosa to learn more about Dandelion. You’ll have to beat her up again afterwards, because she’s a bit odd. In the chat that follows, you can agree to meet Rosa for more lessons. You also get the last bit of information you need to put the puzzle together, so go back and see Zoltan. After your chat, you can open a dialogue with him and play Gwent, by the way. Head to the Kingfisher at sunset; about 6:00PM is fine. Listen to the song and optionally laugh at the lyrics. Chat with Priscilla to figure out where Danedelion has gone – or at least, why he’s gone – to end Broken Flowers and begin Get Junior. 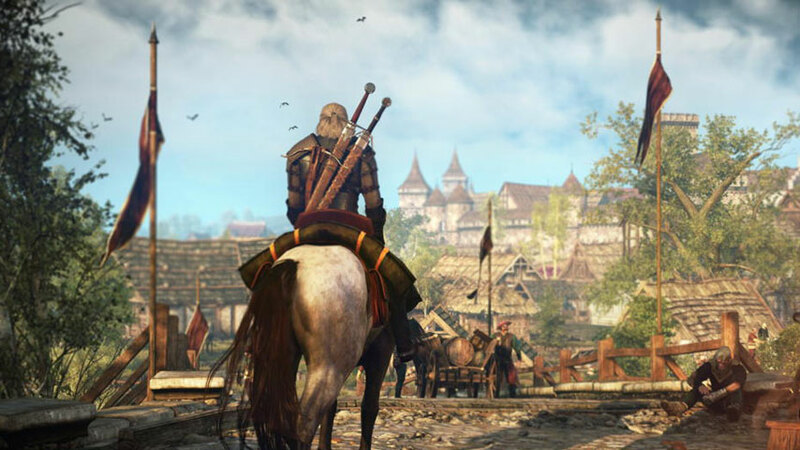 Onwards to Get Junior, or back to The Witcher 3: Act One – Novigrad.